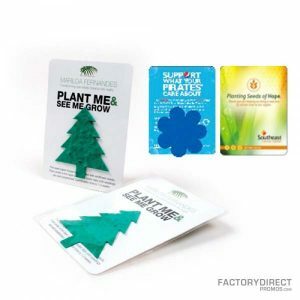 Plant the seed for your company or an event your company is hosting with our eco-friendly seed bookmarks. These sustainably-produced bookmarks are flat and light making them great for direct mail inserts, leave behinds and handouts. 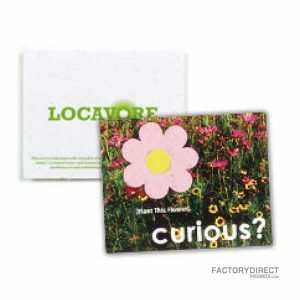 Each recyclable bookmark features die-cut seed paper that can be removed and planted for a fun and unique way to get your company noticed. The card-stock bookmark can be imprinted with your company’s logo and information regarding your company or an event or initiative. Once the biodegradable seed paper is removed the bookmark serves as a handy and useful reminder. 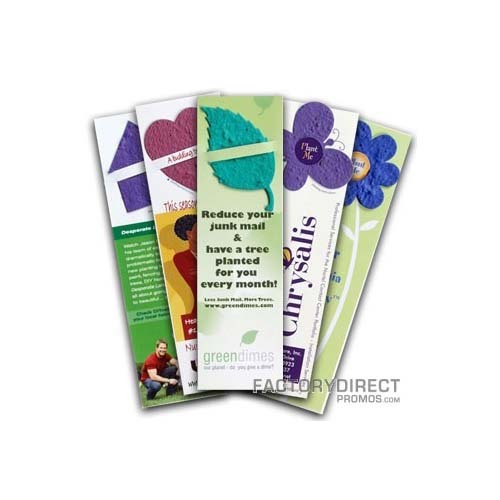 Check our bookmarks made completely of seed paper for additional ways to spread your company’s brand and some wildflowers.